Long ago, wicked Kit Arundel had been spirited away by the Queen of Faeries because of his musical masque, leaving his lover Eleanor bereft, and now, Ellen Ainsley flies to England as the spheres of Earth and Fairie collide once again. Original. 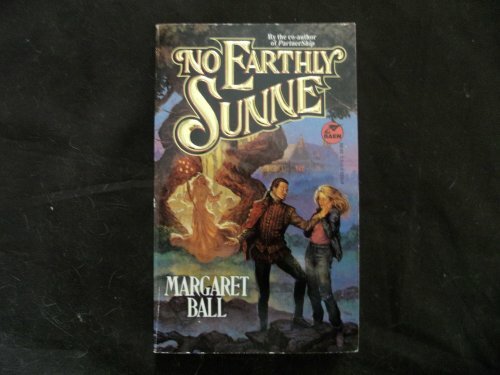 In an attempt to weave computer science, pagan folklore and Elizabethan poetry together, Ball (coauthor, with Anne McCaffrey, of PartnerShip) delivers an intellectually overcooked love story with a plot so contrived that by the time the main character has unlocked the so-called mystery of her buried past, the reader has long since grown bored of it. Ellen Ainsley is a Texas computer programmer who, tormented by strange visions and blackouts, has abandoned her graduate work in Renaissance vocal music until she reluctantly accepts an invitation to sing in a reenactment of a 400-year-old masque in rural England. There she uncovers her former life as a 16th-century maiden whose significant other has been kidnapped by the Queen of the faerie world. Ellen's insipid internal monologues (&quot;she shivered in the imagined dark... almost as though she stood there now-no, not now; in some other time. As some other person.&quot;) reveal Ball's lack of originality despite an imaginative premise. Ball takes herself too seriously for someone who had to borrow pieces of verse from Sir Walter Raleigh, Thomas Campion and other period poets to &quot;compose&quot; the songs of her fictitious masque. <br />Copyright 1994 Reed Business Information, Inc.